My company, UrBizEdge Limited, is dedicatedly a business data analysis and Microsoft Excel consulting company. We consult for other companies and, occasionally, individuals. My role is as the Lead Consultant. When the marketing team helps us win a project, I do the bulk of the actual work. So I'm a full-time consultant. What is it like to be a full-time consultant in Nigeria? 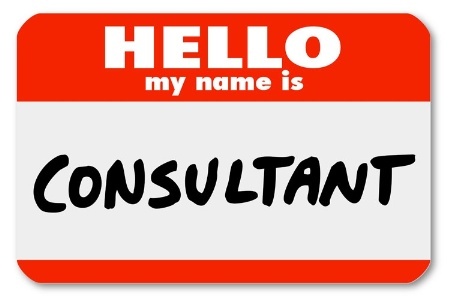 When people think of consultants, the idea they have in their head is a university professor who works part-time for an oil company on a research project. Or a retired old man who was so good at his job that the company had to take him as a consultant after his retirement. Or someone in between jobs. The truth is if you are not retired nor a university professor, most people just think you are in between jobs and don't want to say so. And it's not just random people but the people you are hoping will help link you with clients and get you consulting gigs. They rather start telling you to get a regular job in a big company and make more money for less work. There is a good side to it all, though. After a year or more, they begin to get convinced. Usually after they've seen you turn down many 9 to 5 job offers. "What? You do only Microsoft Excel?" "Don't you know other Office programs? Add Microsoft Project, it is more lucrative." "Don't target just businesses and working professionals. Go to secondary schools, universities and NYSC camps." "We need an XYZ training instructor. Can you handle that class?" They do this out of a genuine concern. But it's left for you to decide the breadth and length of your consultancy practice, and stick to it. I am not a good negotiator and constantly undersell my services. So I would rather focus on the market segment that is not too price sensitive. People who wouldn't be fervently bargaining price. That is why I focus on businesses and working professionals. And that has left students and recent graduates out of my core market target. And I do things at an intense level. Whatever I put my mind to, I give it my best and a crazy amount of dedication. That makes it really difficult for me to do too many things at once. I will have a nervous breakdown. I have to pick a narrow field and be the best at it. And that is why I do only Excel and Business Data Analysis. Luckily, I am constantly learning new tools and acquiring new skills but I won't add them to my professional profile until I find them more rewarding than my present line of business focus. Last month, I made a loss in organizing our monthly training. On the day of the training, only one person showed up. Some were kind enough to cancel just one day to the training and some preferred to cancel on the day of the training. I made a big loss. And still had to handle the two days training without letting the unpleasant situation show on my face. After the training, I moved on fast and we started calling the people who didn't show up and today (just 2 weeks after the loss) I am having a special one for those who cancelled during the last one. Though again people cancelled at the last moment and one person didn't show up after promising the night before that we should get his materials and certificate ready. I didn't make a loss this time. Made enough gain to cover my last loss. And that is even a good example. There are some losses that you can't recoup. I am still having issues with CAC, GTBank won't let me withdraw from my company account because of a spelling error in one of my account opening documents, and recently FIRS has decided to give me unnecessary troubles (they kinda lost my files). Many things will wrong and for reasons that will only drive you mad. So you just have to learn to forget things and move on. I work from the moment I open my eyes in the morning till I close them at night. Some work don't even bring money. Then there a lot of small requests from very many people. There is always someone I am unintentionally annoying and lots of pending work. So I just keep the big picture of building Nigeria's most reputable and profitable enterprise solutions firm always in my head and don't worry about the present high pressure demand/work I encounter daily. You will spend on generator. You will spend unreasonably high on a work quality internet. You will get stuck in traffic more than most other people. You will have to provide everything the government should have provided, and not just for you but for some of your staff too. It's a hard job to be a full-time consultant in Nigeria.